…is anyone there to hear it? 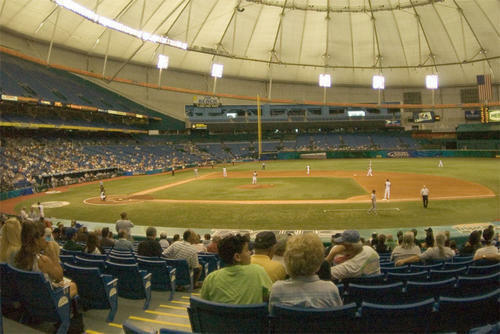 As Evan Longoria and David Price both lash out at Tampa Bay Rays fans for not supporting their team, I am left wondering how Central Florida ended up with a baseball team in the first place. I thought baseball in Florida was reserved for Spring Training? Maybe Rays fans are saving money for playoff tickets. Perhaps the Gators, Noles, and Hurricanes have reasserted their control of the Florida sports scene. Whatever the reason, It’s a shame really because the Rays have a legitimate shot at winning the World Series this year.